Aviation disasters are among the scariest and most devastating accidents which can occur. The fear of flying is not based on a whim, but often has deeply rooted ties, connecting to the large media obsession with aviation disasters and the intense damage one single accident causes to an individual and their family. One single aviation disaster can have a lasting impact on the family structure, and may lead to serious injuries, or even the loss of a loved one. 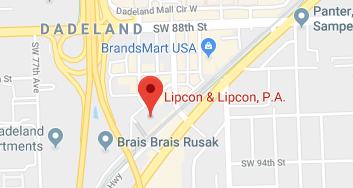 If you or a family member was involved in an aviation disaster, seek the assistance of an experienced Miami aviation accident attorney at Lipcon & Lipcon, P.A. You may be entitled to bring a claim for damages against the responsible party. The National Transportation Safety Board reported that in 2013, there were a total of 1,298 aviation accidents, resulting in over 400 fatalities. This number includes accidents involving commercial airliners, cargo planes, and small commuter planes. This represents a small decrease from 2012, although the number of aviation disasters continues to occur throughout the country, often in smaller chartered planes. These planes do not have the requirements that commercial jets and cargo planes have in place for their pilots. While pilots must have gone through extensive training, some pilots are simply hobbyists and are ill-equipped to handle situations which may arise while in the air. Other factors leading to aviation disasters include manufacturing defects which were not recognized in the warehouse but developed while in the air. It is important for the victim and their family to identify the causes of the accident prior to contacting a Miami aviation accident lawyer and developing a personal injury claim for damages. Aviation disasters are terrible occurrences and can quickly devastate a family’s structure. In one second, a family’s life will be forever changed due to the actions of an airline through the faulty maintenance of the plane, or in hiring flight staff who were not properly trained. A knowledgeable Miami personal injury attorney will assist you in calculating the amount of damages you are entitled to receive during this traumatic time in your life. If you or a loved one were involved in an aviation disaster, do not hesitate to contact the lawyers at Lipcon & Lipcon, P.A. Our attorneys have over 60 years of collective experience in handling devastating accident claims, including aviation accidents, and we will work closely with your family to develop a claim which accurately states the physical and psychological trauma your family has gone through after the disaster. Our firm’s co-founder, Mitchell J. Lipcon, was one of the attorneys appointed to represent Bolivian children after a devastating aviation disaster in La Paz. Call our Miami office at 305-670-6144 or contact us online today for your free legal consultation.